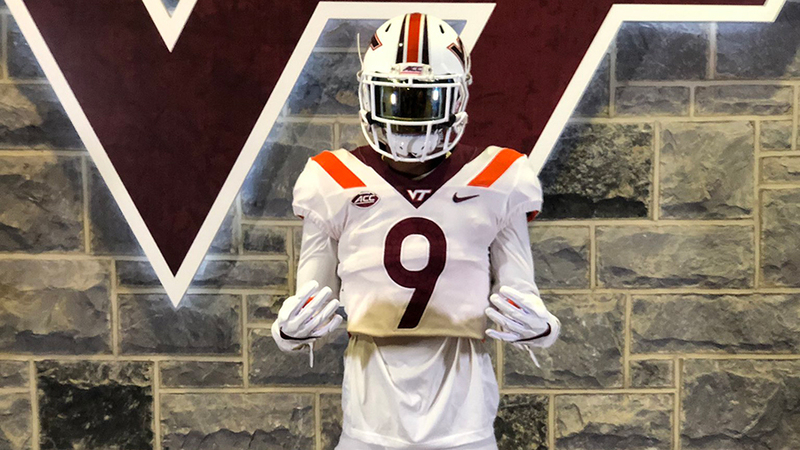 Defensive back Malcolm Greene visited Virginia Tech for Junior Day this January, and he left impressed. "It went great," said Greene. "It was a great experience. I learned a lot." Even though the athletic department has enhanced facilities over the previous few years, Greene said he was most dazzled with how Justin Fuente's staff sold him on Virginia Tech's academic prestige. "[It impressed me] how much the football program and coaches and staff care about education, because education plays a major role in my life," said Greene. Per the 247Sports Composite, Greene is ranked the No. 4 player in Virginia and a four-star (0.9165) safety. Greene recorded 49 solo tackles, 3 interceptions, and 3 forced fumbles, over his junior season. That earned him first team All-Region by The Richmond Times Dispatch.